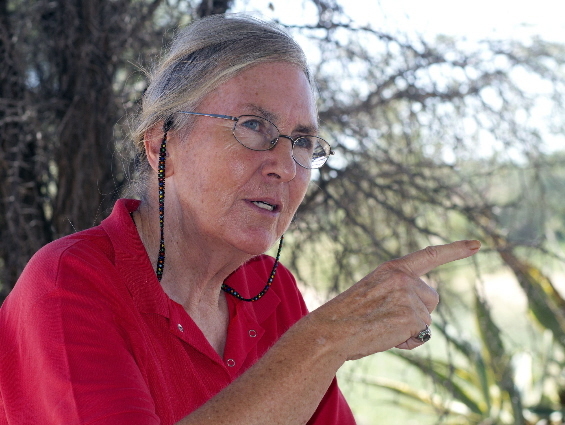 Your hostess is Prof. Anne Rasa, born in Wales and now retired to the Kalahari, where she has been researching the behavior and biology of the desert animals for the last 20 years. She studied zoology at Imperial College, London University, the University of Hawaii and the Max-Planck Institute Seewiesen where she obtained her PhD under Prof. Konrad Lorenz. Subsequently she taught at the Universities of Marburg, Bayreuth, Bonn and the University of Pretoria and speaks German fluently. 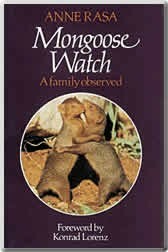 She is the author of the popular book “Mongoose Watch” (in German “Die Perfekte Familie”) which has been translated into four languages. 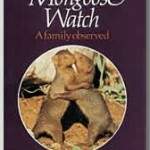 Her pioneering research on mongooses has been the subject of numerous TV films and documentaries (e.g.” Together they stand”, :Nature watch”, “Nature by Profession”, “Comrades of the Kalahari”). thoughtlessness and to give it back to nature. The dream came true in 1997 and was the birth of Kalahari Trails Nature Reserve, where she has now been living permanently since December 2000. 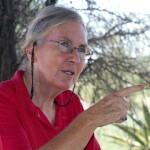 She has recently written the text to the coffee-table book “Kalahari Magnificent Desert” by Erwin & Nicoleen Niemand.